Against the common misconception, a life insurance policy is not just to offer financial security to the loved ones or dependents of the policyholder, once he/she is gone. In fact, depending on their need, he/she can avail a policy either as an investment, or to save for his/her child’s future. In addition, a life insurance policy can be purchased for the purpose of building a retirement corpus or as a pension plan and one can also save tax on the premium paid for the financial year. 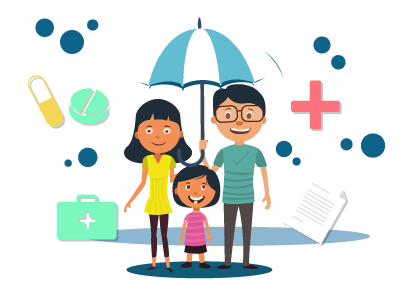 Based on their financial status and their requirement, those residing in Gurgaon can avail a life insurance policy from any of the reputed insurance companies listed below. Those who wish to purchase a life insurance policy should know that the earlier they avail a life insurance plan, the cheaper it will be. As, with age, the premiums of an insurance plan also increase. Depending on their need or their convenience, life insurance applicants can choose to purchase a policy either from a private sector life insurance company or a public sector life insurance company. Listed in the table below are some of the more popular life insurance plans offered by the listed insurance companies.